Every now and then, someone appears on the scene who you just know is going to go far as a guide. Skills are a prerequisite in guiding, but it helps to have a winning personality too and that Trevor Sithole has in spades. 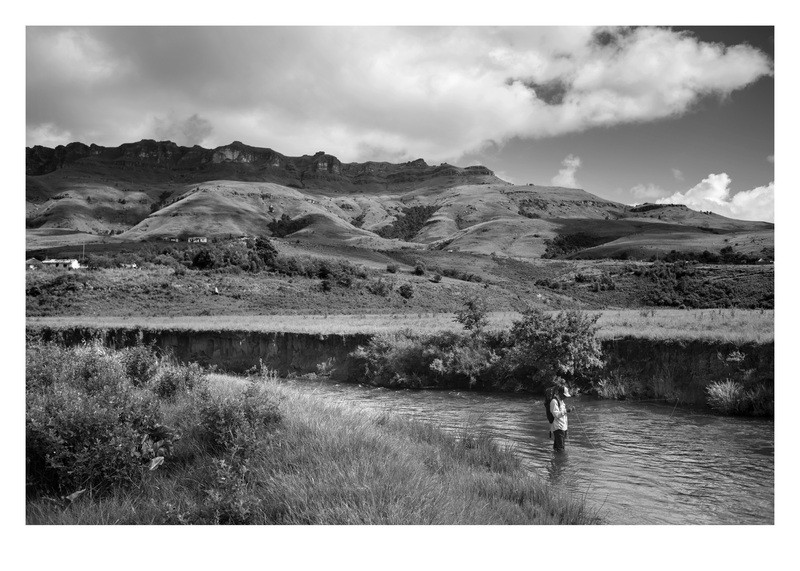 A product of the Thendela Fly Fishing project, we featured Trevor back in issue 2 of The Mission when he was guiding on his home waters of the Mooi river in the Kamberg region. Since then Trevor has been busy. 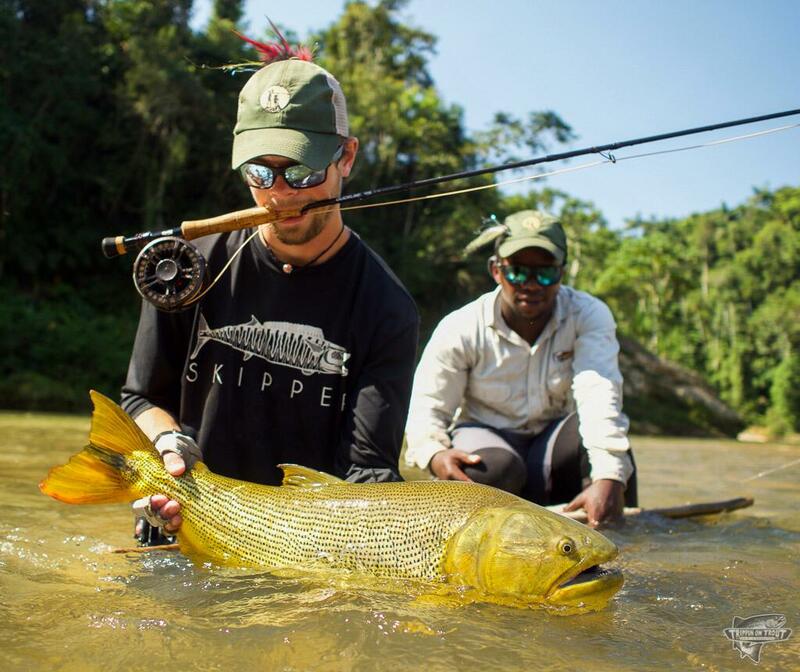 He’s gone on to guide in Bolivia for dorado and is now set for a gig guiding at Alphonse Island in the Seychelles. We caught up with him before he heads off. I thought I was going to speak Spanish, but when I got there – boom! A new language, Tsimane. I always thought it was more of a civilized place, only to find the locals barefooting. The jungle itself. I always pictured it as if it was only a small portion of land almost like our Kruger National Park. To my surprise, when we were floating, I couldn’t see any form of civilization and realized it was actually huge. Another thing I wasn’t aware of was that there were no roads in the upper and deeper reaches of the jungle where we operated or any sort of infrastructure, so people depend on canoes and jungle trails for transport. Because of it being dominated by forest, I thought they would have the best weather system (unlike ours which is especially weird here in Notties), but when I got there, man it was boiling hot! 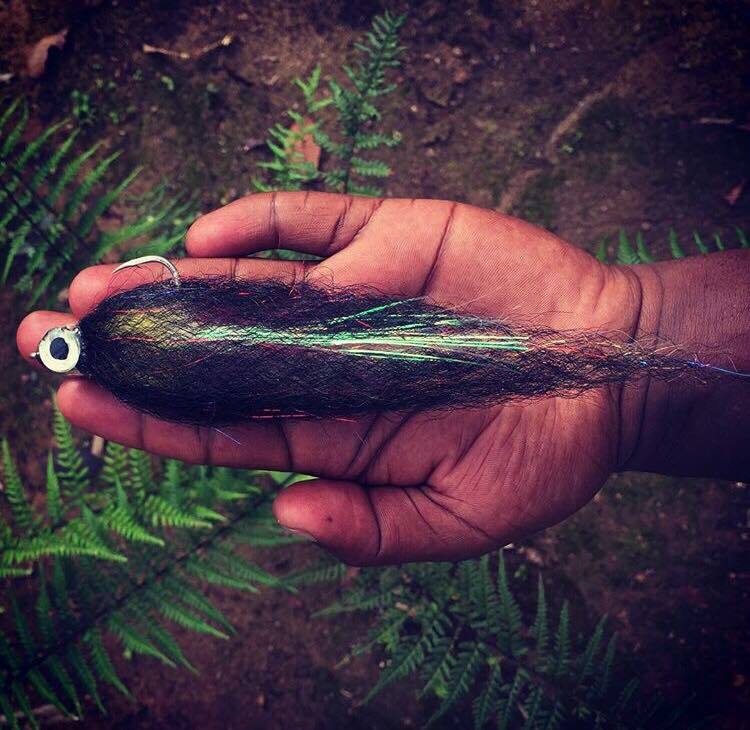 Your go to fly so far? I have no clue what it’s called but I know it works like a bomb. New skills you have had to pick up? Fishing wise, it was my first time casting a 9-weight rod. 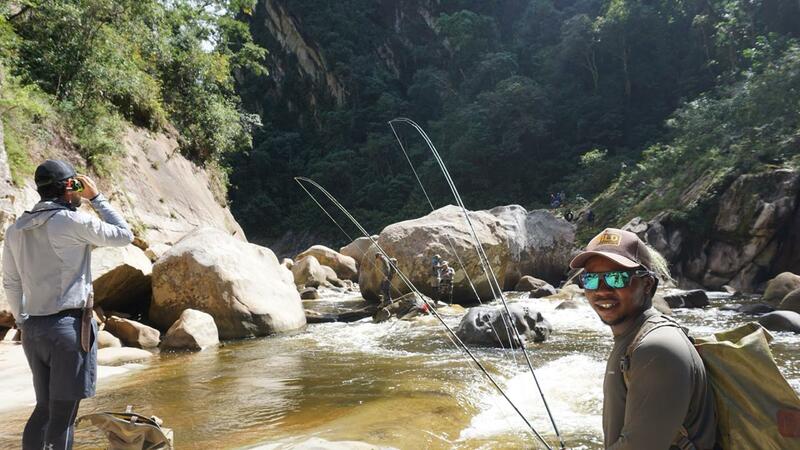 Fishing streamers in the river and stripping the hell out of them. Casting with very limited space, especially for the back cast. Working and dealing with people of different places, beliefs and thoughts was also one of the things I had to learn quickly. 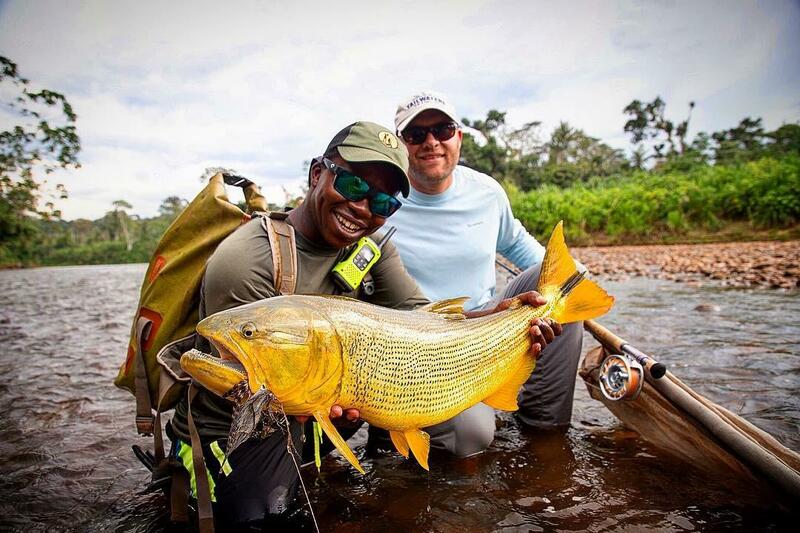 Thendela trout skills that have worked for you in Bolivia? – Skating caddis. Yes that sh*t works. 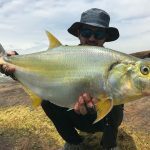 I fished the NYAP and was popping it as you’d pop a popper, and catch a fish or two, but when I started swinging and skating the NYAP at the tail end of big pools the Golden Dorado just couldn’t resist. 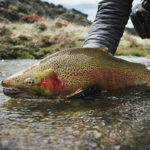 The best fish you have caught so far? 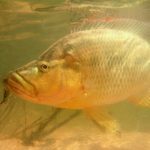 Yaturana, they are generally small, like a big fish will be maybe 8-10lb almost like a size of out home trout in good dams. But, I’ll tell you what, those guys will give you a hell of a rev on a 9-weight. I started thinking what if that thing was hooked on a 4-5wt rod? What other species can you go for out there? 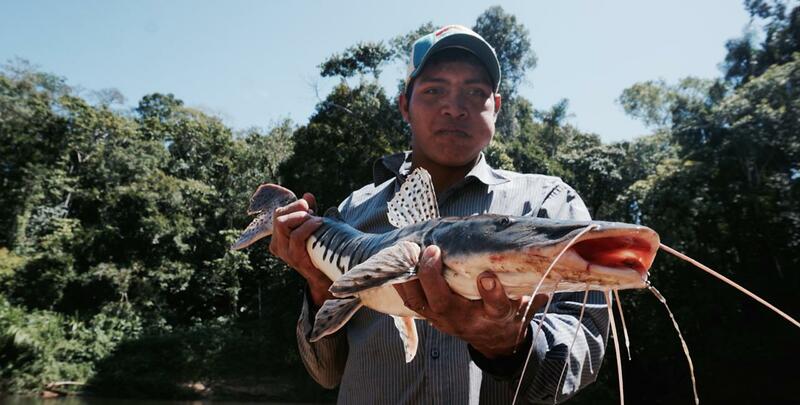 Yaturana, Surubi (catfish), tabarana, Pacu and yes the king of the river was the GD. A 9-weight rod was a must in my opinion (I’ve seen may 8-weight rods broken on fish). Floating lines are most versatile. Rio make a good line, the Jungle series. Any reel with good drag system to stop the fish (9wt). Bite wire, long nose pliers, strip guards or stick on tape. 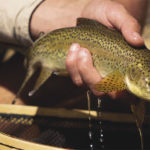 I always liked fishing with a backpack (waterproof was better) as when GDs take off they pull hard and fast so you don’t want stuff hanging in front of you as the fly line has a way catching onto something at the wrong time. So, next stop Alphonse Island… When do you leave and how are your preparations going? Hell Yeah! Seychelles on the Alphonse. My dates to leave are still to be confirmed as I’m held by the department of safety I applied for my Police Clearance and still wait for it but as soon as I get it, I’m off. Good question! I not too sure what to expect, but I know I’m not expecting to break my rod on a big GT or get my hook bitten off by a Trigger. 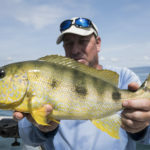 What saltwater species are you most excited about? A trigger fish. I just love them, I don’t know why. Giant Travelly (hoping it won’t tow me out to sea) and the bones. Those are the top three for me. How long is the season there? Will you be going back to South America for another dorado season? I’ll start my season a little bit late there as I didn’t have enough time to prepare because I was still doing my first season in Bolivia, but I’m hoping for 5 months so from the end of November 2018 to end of May 2019. I’ll do another season in Bolivia, which will begin mid June 2019 to September 2019 and hopefully go back to the Seychelles.